X8 on the PARK is a bold architectural statement. 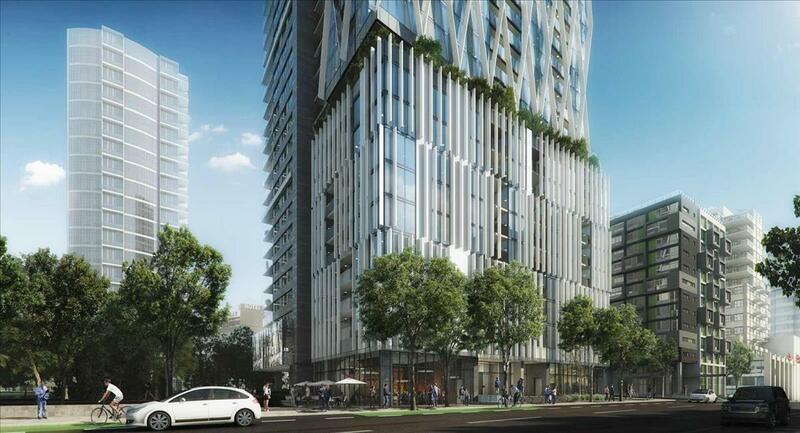 35 storeys of stunning sustainable design elevated above Emery Barnes Park in the heart of Vancouver. 8X offers a unique opportunity to live in a vibrant urban setting with a park the size of a city block just outside your door. Everything you need is just steps away. The spacious homes at 8X are designed for daily luxury. Expansive windows bring sun and starlight inside, while private balconies extend your living space into the open air. Each residence includes state-of-the-art integrated electronics, offering simple digital control over the interior environment, from Nest Learning Thermostats, air-conditioning, and Nuheat radiant in-floor heating to dimmable lights and motion-sensor under-cabinet LED lighting.